What ILP Humanitarian Program Is Right For Me? Did you know ILP has Humanitarian Programs all over the world? 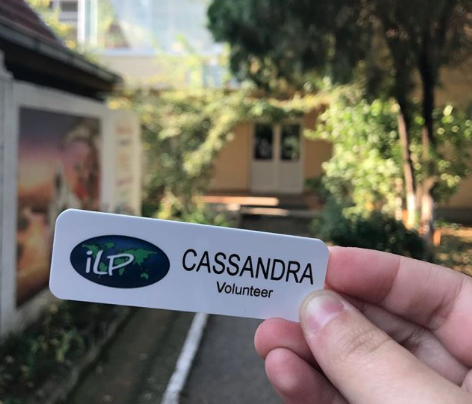 Head to the Dominican Republic, Romania, Haiti, Costa Rica, Nicaragua and Uganda for an opportunity to volunteer with one of the Humanitarian Programs ILP has. With amazing places to choose from it can be hard to decide which is right for you! But don't worry — we can help with that. Still deciding where you'd like to go? Even if you aren't exactly sure you can start your application now! Right here. 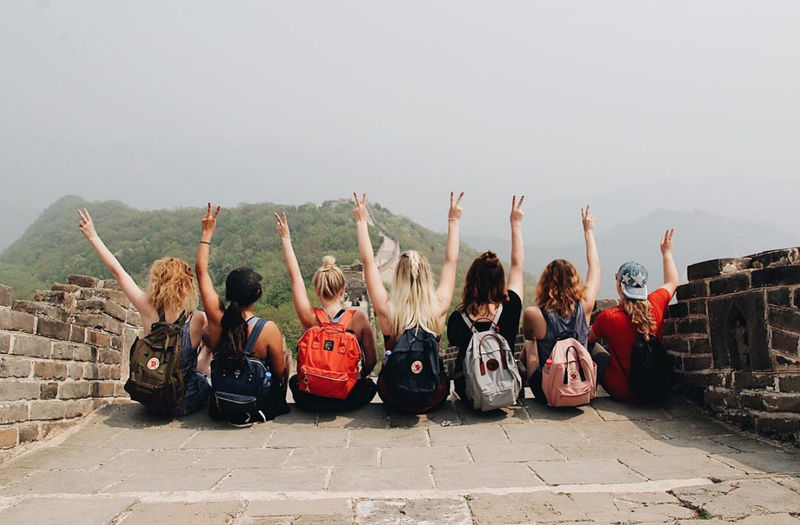 Keep reading to learn a bit more about each country and what opportunities you will have as you volunteer with International Language Programs (ILP). If you like making friends and adorably funny, sassy kids the DR could be a great fit for you! When thinking about the Dominican Republic most people first think of warm beaches and relaxing. Yes, you will have that during your semester abroad - but that is not even close to the best part. While volunteering in the DR you will live together with a big ILP group which gives you awesome opportunities to make friends and become close to the people you are serving with (the DR has one of the largest volunteer groups, usually around 30 people or so). 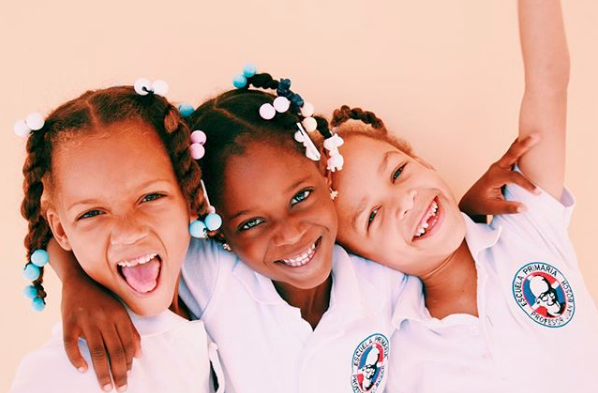 This is one of the greatest parts about the Dominican Republic because you really get to learn from others and learn more about yourself as you interact with people in your group. Currently volunteers are living together in one large house. Yep, that's a lot of people in one house! It's a big slumber party and you'll likely be sharing your room with several other people. If you're not that worried about having privacy and want to make a lot of new friends, the DR would be good for you. The Dominican Republic is a poor country. As an ILP volunteer you're provided with housing that is considered very nice compared to your neighbors, but it will likely leave you feeling grateful for the luxuries you're used to at home. The WiFi is slow, the power goes out sometimes, and there's fans instead of air conditioning most places. If you're really interested in making a difference and are up for an adventure, then life in the Caribbean is an experience you'll never forget! The kids are so cute and truly will be your favorite part (though they can be little stinkers some days!). They adore you and love to spend time with you. The area the children live in is highly impoverished which means there are not many resources for the kids. Teaching them English is giving them a great tool they would other otherwise not have. English will help them throughout their lives. Click that green button to learn more about the DR and the opportunities you will have while volunteering there! If you really want to make a difference in the lives of children and love kids, but teaching just doesn't really sound appealing to you then Romania just might be perfect for you! Romania is unique in the sense that you are not teaching English like ILP's other countries. In Romania you will be volunteering at an orphanage and foster home apartments and working one-on-one with the kiddos. 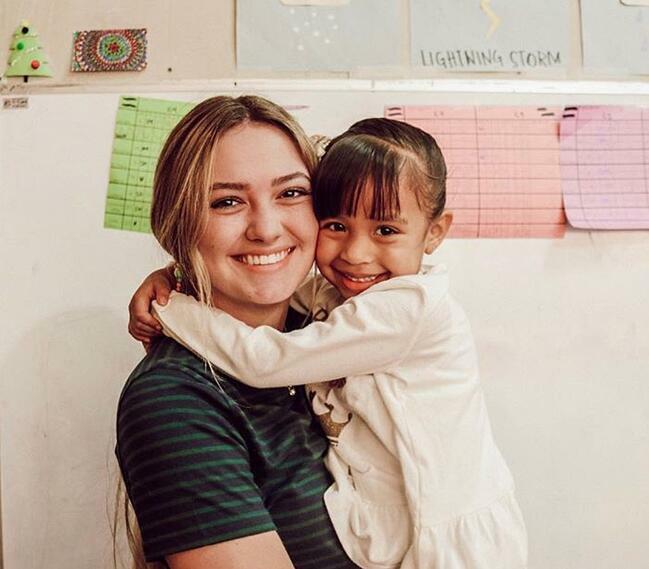 Many of the children in the orphanage have mental or physical disabilities and you will be working with them individually throughout the semester on little goals you set to help them grow and succeed. The goals may be simple like learning how to use a spoon, how to crawl or sit up. You will basically be giving them love and attention like a parent would. These things may seem small the impact you have on these kids is incredible and those simple things will benefit them greatly. 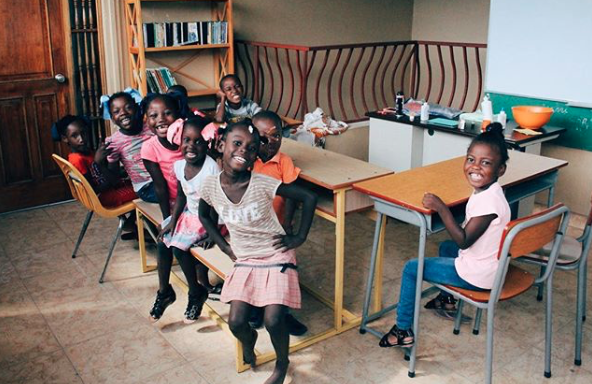 Serving in the orphanage and the apartments will change your life and open your eyes in many, many ways. You're love will grow deeper every day as you work with the kids and you will learn incredible things from them. Volunteering at the orphanage can be tiring mentally and physically, but the quite little moments and sweet kids are so worth it. When you are not volunteering you have time to travel! While in Romania you will be able to travel through most of Europe and check off those bucket list places you have always wanted to visit. So if you'd like to make a difference but don't want the adjustment factor that it takes to live in an impoverished place like the Caribbean or Central America, click the green button to learn more about Romania! Loooove kids? You'll love Haiti! The orphanage you will be teaching at in Haiti is unique because you live alongside many of your students (here's more info on the program here). This brings a big family atmosphere and you get to see the kids a lot, even outside of teaching time. This is awesome because you can build really strong relationships with the kids and get to know them well. As you volunteer in Haiti you will make a difference by using the ILP teaching method to teach the kids English and you'll also be able to make a difference outside of the classroom because you live so alongside them. You'll spend much more time with the kids in Haiti than you might in other countries you volunteer in. 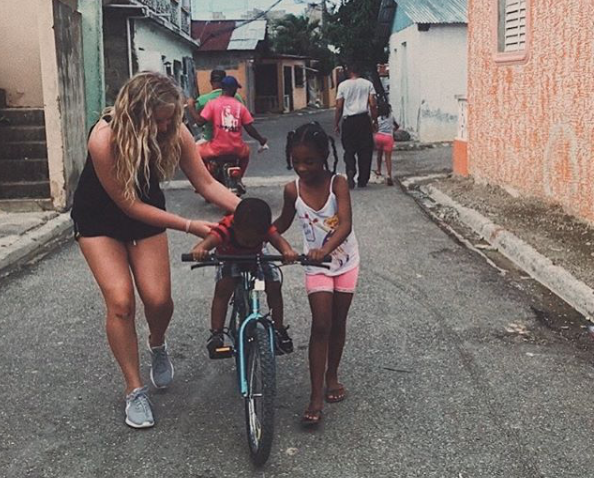 This works well if the main reason you want to volunteer abroad is because of the kids. Volunteers in Haiti often spend their free time hanging out at the orphanage compound where they all live having dance parties in the courtyard and playing games with the kids. If you think you'd rather spend your free time away from the kids and be able to explore more of the city (we totally understand that) then Haiti might not be the right spot for you. The kids are sweet and full of personality. They are eager to learn and incredibly fun to be with. It's incredible to watch how quickly they've been learning English since the volunteers arrived (likely because they spend more than the typical 20 hours per week together). They'll steal your heart quicker than you can imagine! Just like the other humanitarian programs, you will have great vacation opportunities, like visiting other islands in the Caribbean. Anyone up for a trip to the DR? I thought so! If you're into adventures but also want to give back, Costa Rica is the place for you. The humanitarian program here is a little bit different. Like all the ILP programs, you'll be able to give back to the community by providing an English education to children who wouldn't be able to afford it ... but because of the way Costa Rica's economy is set up, the children you will be teaching don't typically come from the same level of poverty or rough upbringing as children in other ILP humanitarian locations. Costa Rica is built on agriculture, but is also heavily supported by an enormous expat community and tourism. The education system here reflects that; there are public schools that cater towards lower to mid-income families and private schools that cater to the upper end of the income scale. That means the students you will be teaching might be local kids who grew up in the agricultural side, or children of expats whose parents can't afford the expensive tuition of the private schools. However, that doesn't change the service you'll be providing: English lessons for children who couldn't thrive without that skill. Since Costa Rica depends so heavily on tourism, being able to speak English is an invaluable skill for any child looking to keep up with the country's economy. Costa Rica might be nestled right in the middle of Central America, but due to the tourism and expat life, lifestyle in Costa Rica are higher here than other countries in Central America, yet there are still pockets where locals deal with stark humanitarian issues, like small homes with basic amenities (if any). Volunteers living here will be able to experience that divide firsthand. Oh, and don't forget — this country is bursting with things to do, so get ready for some adventures whether you are hiking the jungle or hanging out on the coast. 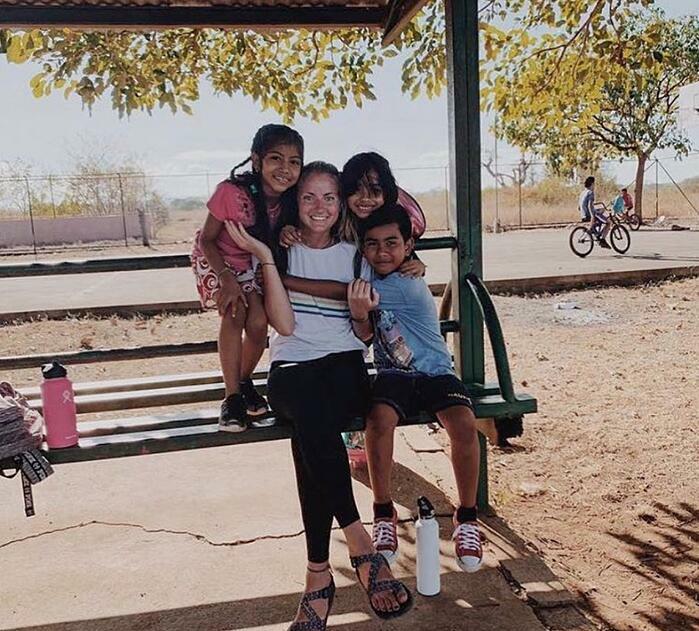 Dive right into the local culture by teaching English to a struggling neighborhood during the week, but still have time to explore volcanoes and dense jungles on the weekend should come adventure and make a difference in Nicaragua. This humanitarian program is similar to the ILP programs in the Caribbean: Nicaragua is the second most impoverished country in the Western Hemisphere behind Haiti. The people here are colorful, vibrant and happy, but are struggling. Like the DR, you will probably have students from rough backgrounds, poverty and homes that are propped up by tin roofs with no running water. Sort of similar to Haiti, you'll be living very close to the neighborhood where your students will live — in fact, your walk to school is along a dirt road through that neighborhood so you'll really be able to connect with the community and get closer to your students and their families. Nicaragua's growing tourism means that an English education is really invaluable, especially for these children who would never be able to pay for the classes you'll be providing. But when it comes to vacations, it's also important to keep in mind that Nicaragua is very similar to Costa Rica for a few reasons: The countries are right next to each other and share a very similar climate and activity list. Plan on getting off the beaten track to go white-water rafting, zip lining through the jungle and lounging on Caribbean coastlines. 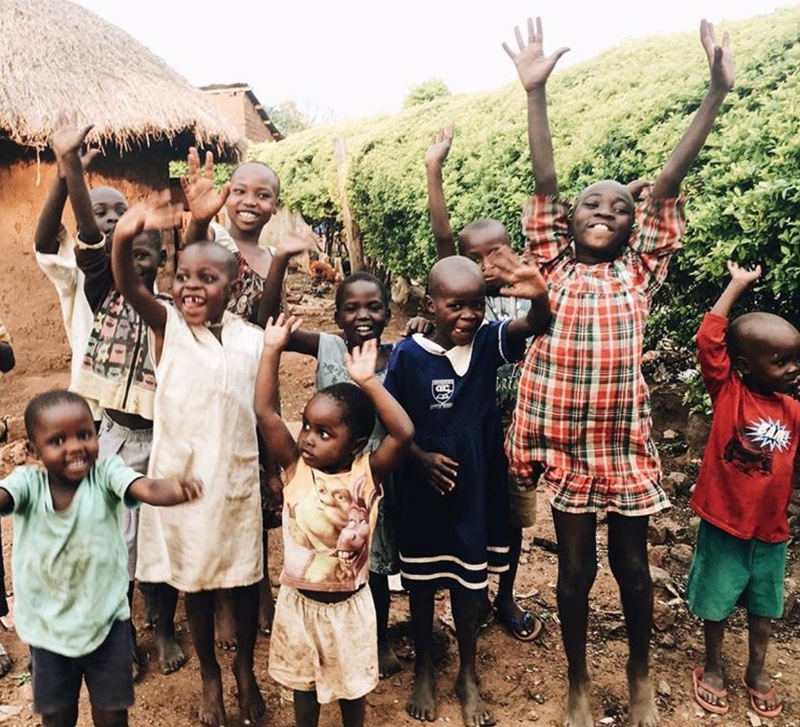 If you have been wanting a way to help the people in and outside of the classroom, Uganda is the place for you. This humanitarian program is similar in a lot of ways to our other programs, with some distinctive differences. Volunteers will be teaching English to children with limited means, in a country that's struggling in more ways than one. One distinctive difference is how an English education will benefit the children you teach. Uganda has several main languages, one of which is English which is used to unify over 100 local languages. Children typically coming from families where English is not spoken in the home, then to head to school to sit through lessons and take tests in English — a language they don't understand. Think about having your first day of school and sitting through a math lesson and a test in a language you don’t understand. We want to help kids before that happens. The goal of ILP classes is to help kindergarten-age students (about 3-6 years old) speak naturally so that they’re better prepared to do well in school and have better English later in life. All ILP programs help children learn a skill that will benefit them in the future, but in Uganda, English is a skill that’s needed now while they're young. Volunteers will also be able to help their community in their free time with clean water projects. You'll meet a man named Eddie who's had an enormous impact in Uganda by building wells and springs so thousands of people can have access to clean water. Learn more about how you're helping here. Still not sure where you want to go? That's okay! Talk to a representative in the office who has volunteered with ILP and ask them about their experiences during their semester living abroad!